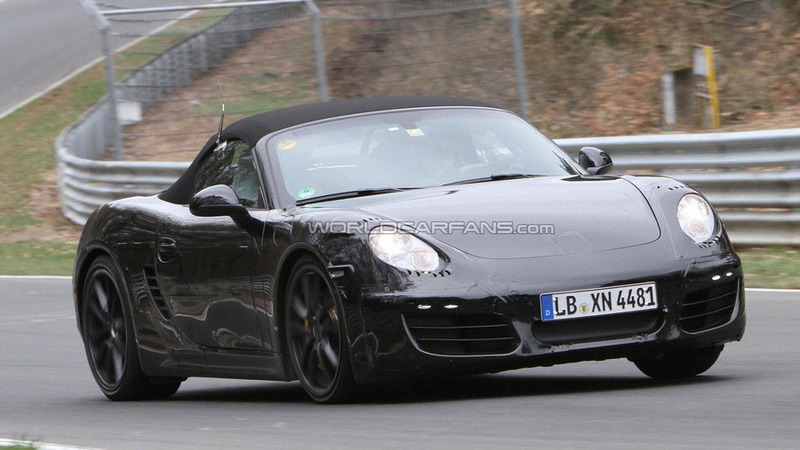 Here is the latest set of spy shots of the upcoming 2012 Porsche Boxster. This next-generation Boxster prototype was spotted while conducting some track runs during the new testing season at the Nürburgring Nordschleife. Wearing the same camo as in the previous sets of spy shots when we spotted the car doing its winter testing in Scandinavia, the new Boxster does seem to have become a sleeker car design-wise, following in the footsteps of the next-generation 2012 911 model. Speculation is that the next-generation Boxster will come with a newly developed 2.5 liter, four-cylinder engine from Porsche. That new power plant is said to have a turbocharged variant with an output of around 360 bhp (268 kW / 365 PS). As always, we await more news.